Where are my 30-something girls? Yes girls, hitting 30 is the right age to begin your anti-ageing journey. And if you ask me about the best anti-ageing cream to start with – I will always tell you to get on the Olay TRAIN! Olay has some of the best products, when it comes to anti-ageing skin care. 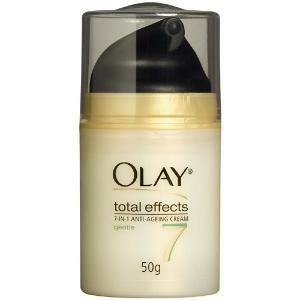 And Olay total effects 7 in one anti-ageing cream is one of them. The biggest thing about this cream is that it is light-weight and suits most skin types. “A daily facial moisturizer that provides 7 anti-ageing benefits in 1, plus SPF 15 to help protect against sun exposure. 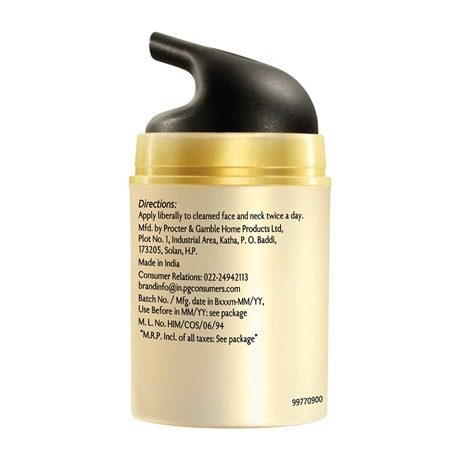 The anti-ageing moisturizer comes in a travel-friendly opaque pump bottle with a transparent cap. The cream is soft to touch and has a mild soothing fragrance. It moisturizes well and only a little is required to cover the entire face and neck. Skin feels instantly nourished and protected. Now about the claims of beating 7 signs of ageing, I cannot say if the cream has actually helped me in wrinkles department, since my main concerns are dullness, pores, and uneven tone. And regarding these concerns, the anti-ageing day cream has certainly made my skin more even, brighter, and tighter. 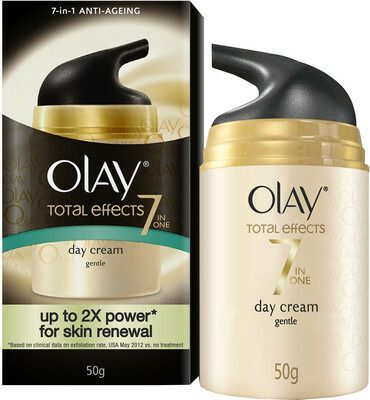 On the whole, Olay Total Effects anti-ageing day cream with antioxidants is one of the best anti-ageing creams to start with. It is an excellent moisturizer with sunscreen that is readily available and reasonably priced. I highly recommend this cream to 30-something girls looking for a good anti-ageing moisturizer for daily use. It was such a wonderful article dear and from my side I want to say that i am using organic raw shea butter from long and its really effective. SheaMoisture’s Raw Shea Butter Anti-Aging Moisturizer absorbs quickly into the skin to offer deep hydration and also firm facial skin.